Additional Notes: Playing on large, player-made maps might affect performance. This game has been updated 14-12-2018, 07:02 to the latest version v1.1.10. New Winter Biome - usable in the World Editor. New official 1v1 Conquest map - HELIX, in the Winter Biome. New Rickety door - only 3 planks to build, half the regular HP. New Reinforced door - 3 planks + 3 iron ingots to build, double the regular HP. Four new columns variations: fluted column, round column, square column and stone pillar. New stair block: outwards corner. New Grab the Gems "Extended" preset that introduces longer times between gem spawns. Buffed Artificer damage by 50%. Slightly increased rope bridge's HP. 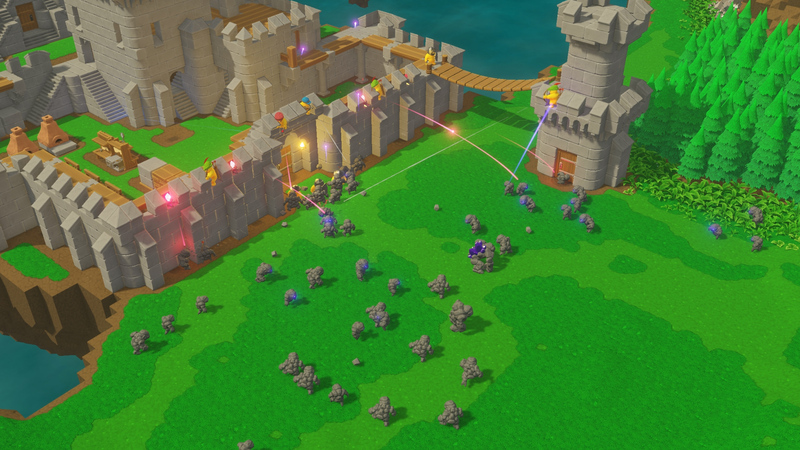 Drastically reduced damage dealt to natural terrain voxels by Knights and Halberdiers. Halved Corruptrons' damage dealt to doors. Renamed "Rope Balot" to "Rope Coil".